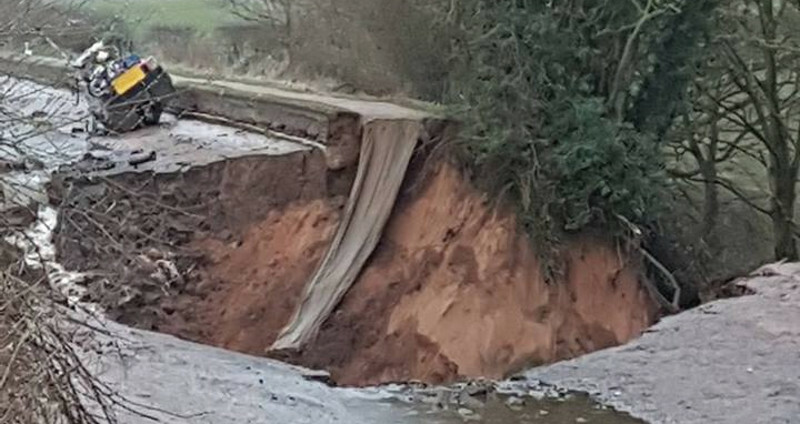 THE Canal & River Trust statement that there has been an embankment failure on the Middlewich Branch was an understatement! The entire canal that spans the Wheelock collapsed last night (Thursday) and has gone, Chris Potter tells us, as can be clearly seem from the Middlewich Community Group photograph above. The entire pound between Wardle and Stanthorne locks has drained away with boats on the bottom, and from past experience, there is little hope of the Four Counties Ring being open this season. It is estimated that there are around 20 boats now on the bottom, with little chance of being re-floated in the near future in view of the destruction of the waterway. 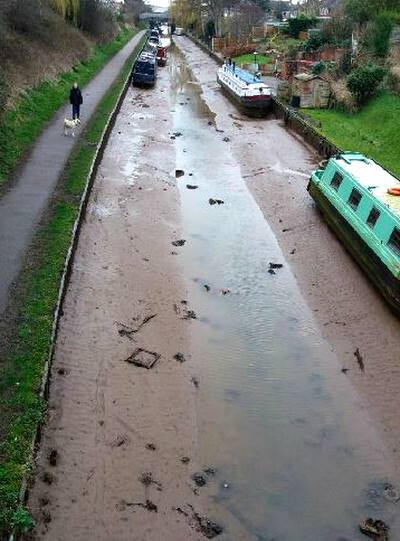 The cause of the breach however is clearly apparent—the canal has collapsed by the Wheelock Aqueduct that will be a major re-build.